The all-new Supra isn’t out yet, but things are looking up for the sports car that was built as a joint venture between Toyota and BMW. 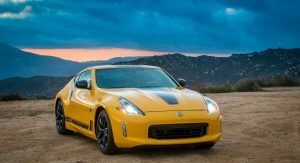 Apparently, Nissan is also looking for a potential partner for the 370Z replacement in order to share the development and production costs. According to Japanese magazine Response (via Japanese Nostalgic Car), which cites “unnamed European agents”, that partner could very well be Mercedes-Benz. 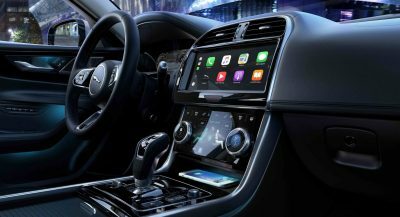 This makes sense, as the Japanese automaker’s luxury division, Infiniti, has worked with the Germans on the QX30 crossover that shares its underpinnings with the Mercedes GLA, and Nissan itself provided Daimler with the Navara as a basis for Merc’s first-ever pickup truck, the X-Class. 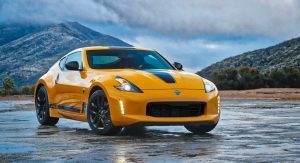 According to the report, the next-gen Z would be offered in two trims. The entry-level model will be powered by a 2.0-liter turbocharged four-cylinder built by Mercedes, while the range-topping version will use the 3.0-liter twin-turbo V6 from the Infiniti Q60, where it produces 300 hp and 295 lb-ft of torque. 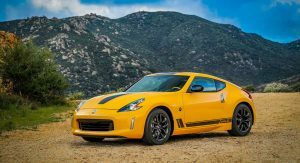 Whatever Nissan has in store for the next Z, it can’t come a moment too soon. 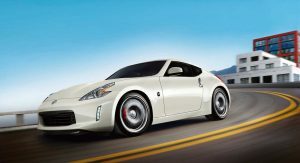 The 370Z ((pictured below) hasn’t changed a lot since it debuted in 2008 – and 10 years is an eternity in the automotive world. 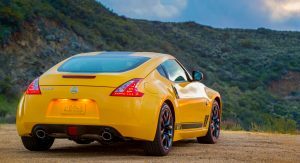 Nevertheless, despite previous reports that announced its demise, Nissan confirmed at the beginning of the year that it is indeed working on a new Z.
great news! 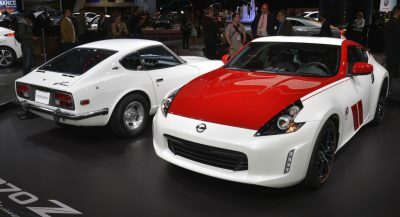 I dislike the current Z. although the 350Z was very good. Must be a slow day…. This story is being recycled from 3 years ago. And was just as unlikely then as it is now. Next article please. If it turns out to be true or not remains to be seen. I just hope Nissan doesn’t screw it up. Hope Mercedes doesn’t screw it up either. something “inspired” from 43 amg series? This story has already been proven as FALSE. It’s not happening. This site is desperate obviously. Those re-hashed Tesla stories arent getting the attention anymore. Agreed, but appearantly Japanese magazine tend to do so called “scoops” to actually gauged public relations, and car company support this… at least in Japan. It’s fake but one thing that almost sure is next Z is apparently a crossover. It will not be a crossover. 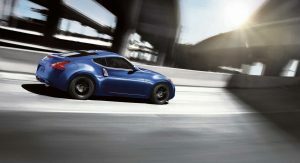 you want better,sustainable and more profitable Z car? you better make a 4 cylinder either. The Mercedes X-Class was actually not the first Mercedes pickup. There have been many “pickups” from Mercedes’ in the past such as the 170V for example from 1949 IIRC. But the first purpose built pickup from the company was a pickup version of the W115 220D which was locally assembled in Argentina. That was a genuine pickup and was very popular with its operators. Remember when Germans/ Euros were making fun of Americans for making/ buying pickup trucks? Now they are doing the same. Just like SUVs too. 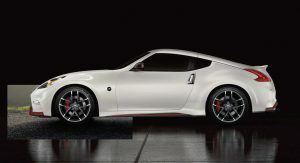 Oh finally, there is a new Z in the future. 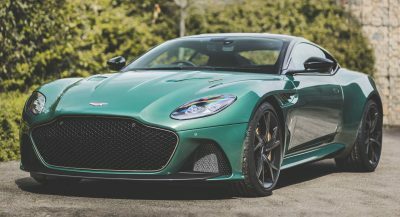 Proving the Japanese manufacturers cant build sports cars themselves anymore. Just like the Toyota Supra, they need German help. I like the idea of this. Only problem is, the V6 must produce much more than 300something hp in order for the different engine choices to make sense. Mercedes could twin the car with the SLC. But watch the weight. My guess is that if there is a joint venture it will be for the next GT-R. If Mercedes were actually doing a SLK/SLC replacement a Z-Car tie up would make sense, but aren’t they discontinuing that model. 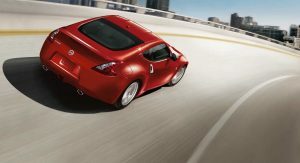 If Nissan does a Z-Car it will like share a platform with Infinity. I say too bad that they didn’t do the IDX, That platform could have served a myriad of vehicles. is first to comes out with one will be the go-to brand for everything else. These cross-over collaborations are just odd. So, Nissan doesn’t have the chops to just do it alone? Talk about low self confidence…. Next PostNext Audi Brings Traffic Light Tech To 600 Intersections In Washington D.C.